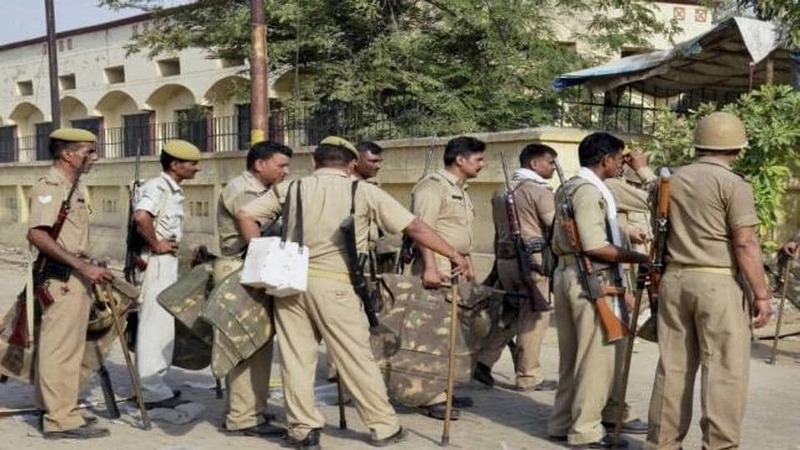 At least eight persons including children and policemen, were injured after a group of people resorted to stone-pelting when a police team raided some Muslim houses on information of cow slaughter at Sherpur village. SP city Rakesh Kumar Singh told PTI that trouble broke out when police raided a muslim house upon receiving the information of cow slaughter on Police Helpline 100. The police have raided a house of one Islam and Hasrat over cow-slaughter rumours to which Islam objected and asked them to leave after showing them the cooked potato curry. After then, the police started checking whatever they were cooking. Situation gets worst when meals were thrown and Shajab got slapped. According to a villager named Shajad, the police were keep asking where the meat is while searching what is cooking on stoves. As and when he denied having it and he was simply observing fasting, the police kicked and slapped him. The police, then threw potatoes and cabbage. The police also used abusive language with the residents during investigation. Police expanded the search when went empty handed at Shajad’s House. When the police did not find any suspicious item during the search, they started searching nearby houses which angered the people, an eyewitness claimed. Angry over the police action, people across neighborhood assembled and started pelting them with stones. Three police motorcycles were also set ablaze, police said. Police later said that senior officers have rushed to the spot and the situation is under control. Security has been tightened up in the area and extra police force has been deployed in the village to ease the tension, police sources said.